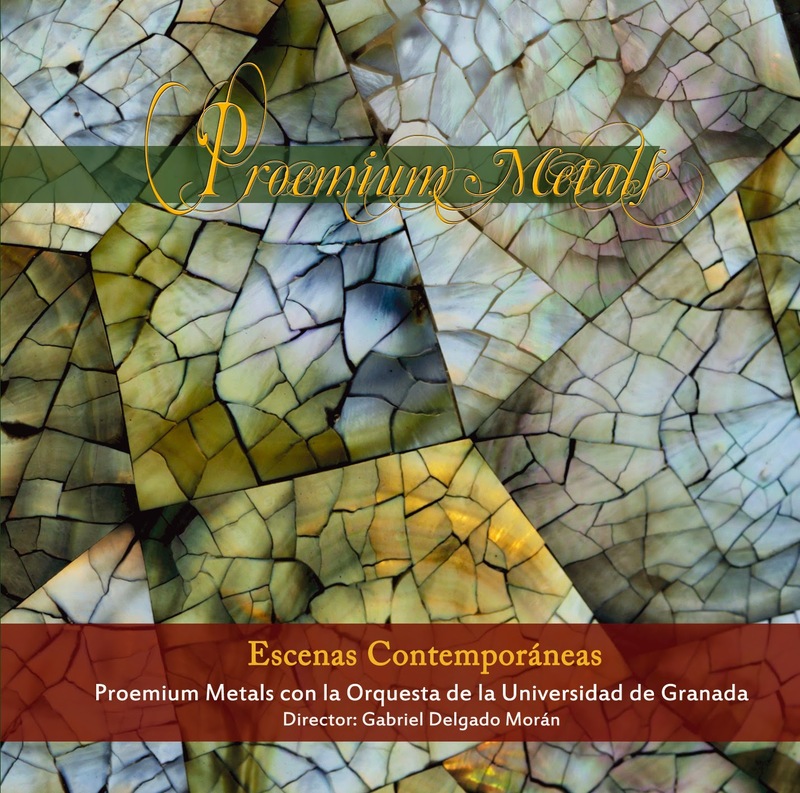 Escenas Contemporáneas is the most ambitious project that Proemium Metals has undertaken. From a conceptual point of view, the goal of this recording is to present different perspectives of contemporary music, where the brass quintet conveys different contemporary musical expression styles, showing the richness of colors, technical resources and nuances that a chamber music group of this nature can achieve. With this aim, the hallmark of Proemium Metals is embodied: the firm commitment to the innovation and the enrichment of the brass quintet repertoire in language, color, topics and forms. Being interdisciplinary and working closely with composers. Nevertheless, the linking idea between these contemporary scenes lies in that all the pieces collected here are neither participants nor heirs of the avant-garde or the neo avant-garde movements. Accordingly, all of them have in common the rejection of a merely experimental language and instead move towards being lawbreaking, anti-academic and disruptive in spirit. Whilst maintaining, beauty, emotion and the connection with the psychology of the listener that the tradition historically has created. This recording is divided into two parts of approximately half an hour each: the first one is three works for solo brass quintet and orchestra. The second one is two pieces for Brass Quintet alone. The relevance of Escenas Contemporáneas lies in several points. Firstly, all the works presented here have been premiered by Proemium Metals and, crucially, four of them have been especially composed for this project. Secondly is the historical contribution made by means of this project to the repertoire of the brass quintet repertoire. On the one hand, due to the shortage of works for soloist brass quintet and orchestra in the repertoire, the three pieces offered here involve a prominent input. On the other hand, because of their originality, their highest compositional quality and the very high technical difficulty posed for their performance, the pieces for solo brass quintet presented here entail the incorporation of two outstanding works to the general repertoire of this kind of music chamber group. Among others, these are the reasons that make Escenas Contemporáneas to be a noteable recording within the discography for brass quintet. © 2013 Proemium Metals. Con la tecnología de Blogger.